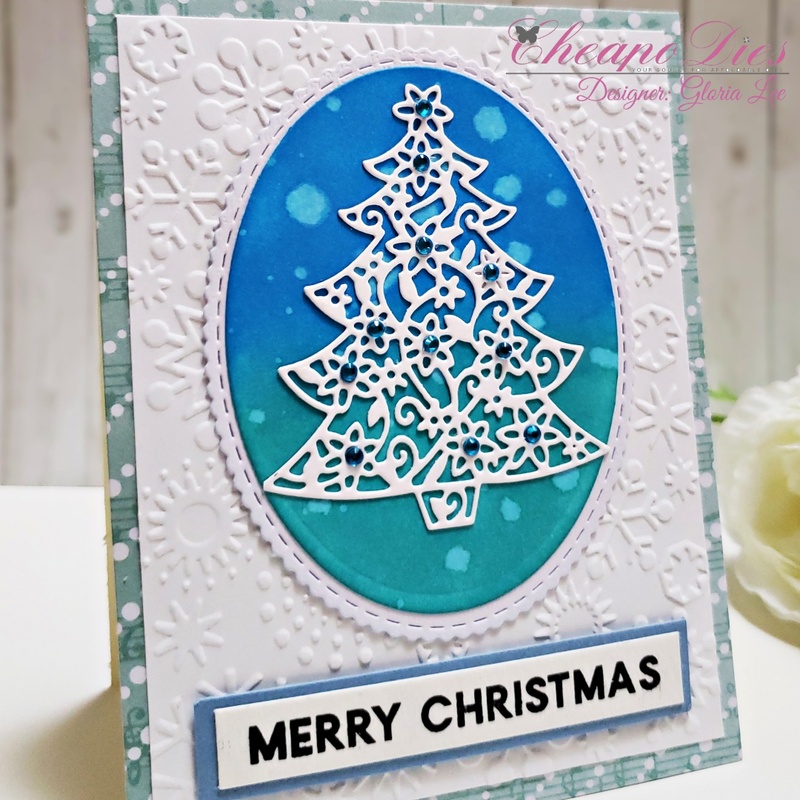 Gloria here today, I want to share with a cute card using Christmas tree die from Cheapo Dies. To create this card, I cut an oval with an oval die and white card stock and blended it with Salty ocean and Peacock feather Distress Oxide inks using mini blending tool. 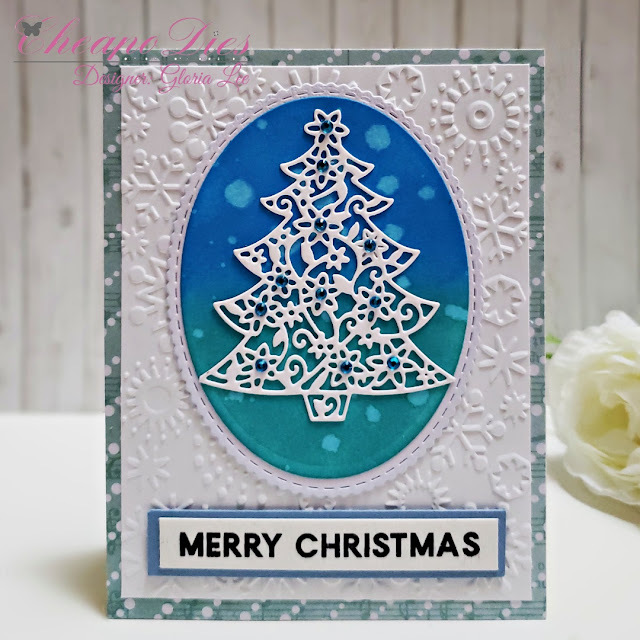 I die cut an oval frame with scallop stitch oval unbranded die on white card stock and adhere the colored oval on the white oval frame. 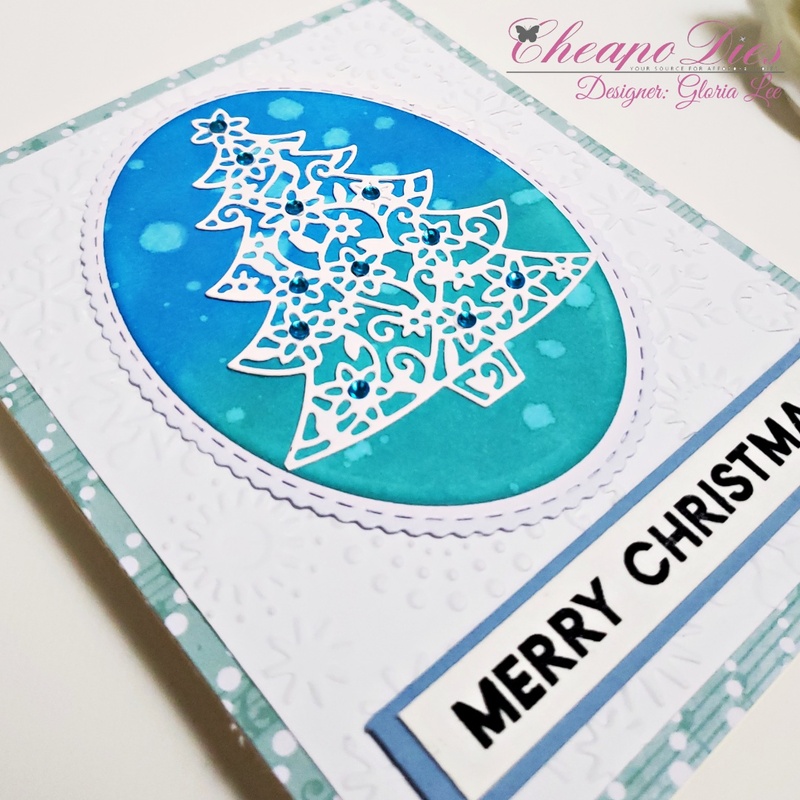 I embossed a white card stock with a snowflakes embossing folder by Cuttle bug for the background. 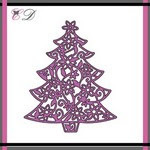 I die cut the Christmas tree on a white card stock and adhere it on the colored oval frame. I added some shiny blue gem stones on the tree cut. I mounted all elements on A2 size white card base using double-sided tape.